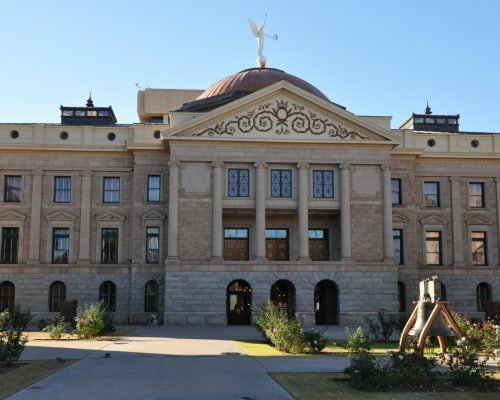 Next week, the Arizona Legislature will convene for its 54th legislative session and lawmakers will hit the ground running as soon as the session begins. But, with a slim Republican majority in the Senate and House, it’s unknown whether we will see bipartisan support or partisan gridlock. Whether you’re a government contractor or interested in legislation, there are a handful of issues that will likely dominate the conversation. The 2018 elections brought some unexpected change for both chambers of the legislature. In the Senate, there was a whopping 47 percent turnover as longtime legislators retired or ran for other offices. With only one political newcomer, most of the newly elected Senators are former members of the House of Representatives who have moved to serve in the Senate. The House saw a 42 percent turnover, as five current members of the Arizona Senate moved to the House. Nineteen first-time legislators will join the House, as well as one who previously served. With voters electing a very narrow Republican majority in the legislature in the 2018 election, it is unclear whether Arizona will experience more bipartisan cooperation or more partisan divides on controversial issues. With a 17-13 Republican majority in the Senate and a 31-29 Republican majority in the House, every legislator’s vote matters on every issue. Water policy is especially important in Arizona right now, and an ongoing drought has drawn attention to laws on water conservation and planning. A group of interested stakeholders has been negotiating a drought management plan for Arizona and its neighbors in the southwestern United States, and the legislature will need to approve the plan once they reach an agreement. Time is of the essence since some stakeholders fear other states will move forward with their drought plans with or without Arizona – a step that could threaten some of our existing water resources. Tax conformity is another time-sensitive issue, but state leaders have differing views on how to address it. Arizona statute aligns with the federal government’s definitions for income tax policies, but after Congress’ widespread changes to tax policies last year, the state must decide whether to implement those changes for state income taxes – including the elimination of some tax deductions. The decision could impact the state budget by as much as $250 million: Governor Ducey believes the state should save the money to use in future budget downturns, but some Republican leaders want to prevent what they view as new income taxes on Arizona residents. The legislature is also expected to re-open the debate on whether Arizona should tax digital goods and services. Sharp disagreement on the issue sidelined legislation last year, but it will be introduced again in hopes that advocates on both sides of the issue will find common ground that clarifies Arizona’s application of sales taxes. Finally, legislators are likely to disagree on their support for Governor Ducey’s school safety plan. The governor introduced his plan last year, but it was sidelined due to opposition from some Democrats who believed the proposal did not go far enough to prevent school violence and some Republicans who feared the bill would do too much to restrict some individuals from owning guns. Regardless of what legislators end up deciding, the state budget will have an estimated $1.1 billion surplus this year. While state budget experts warn that $900 million is only available for one-time spending, $200 million of the surplus is expected to continue into future budget years. Legislators must decide how to allocate the resources between a long list of policy and state agency priorities – including IT needs. Before anyone gets too excited, there are a few budget asks that rank high on the list of priorities. Arizona’s KidsCare program will be at the top with federal funding likely to decrease for children’s health insurance in the future. Legislators within both parties also point to increased education funding after last year’s Red for Ed rallies and teacher protests. It is not clear, however, whether Republicans and Democrats will agree on levels of school funding and charter school operation and procurement oversight. With the 2020 election on the horizon, the Presidential election year could bring high voter turnout in Arizona. All 90 of the state legislators will be on the ballot in 2020, and they will keep the next election in mind as they vote on issues. I’d love to hear which of these areas you’re most interested in. Are there any other issues on which you’re keeping tabs? Drop me a note anytime.